Images of human faces are effective on business websites. Here’s why, with tips on how you can make the most of these types of images. 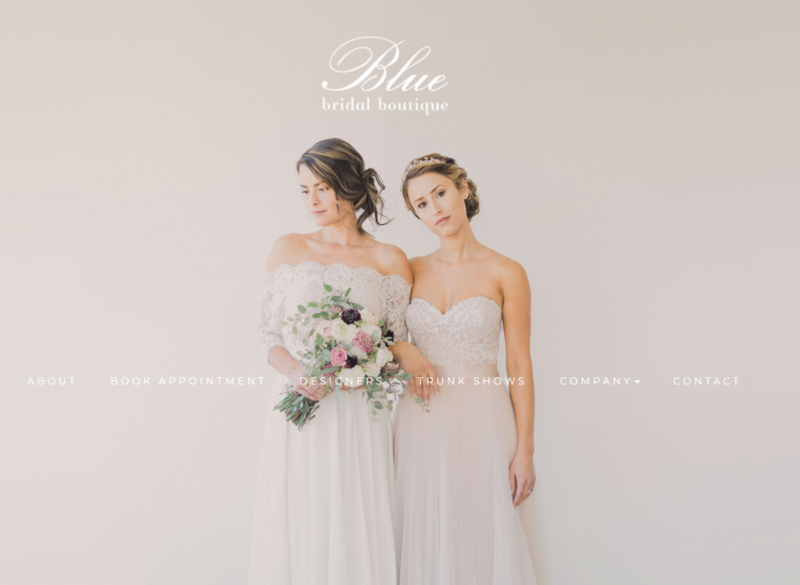 A lot of business websites don’t – in reality – need images. They’re not necessary to convey vital information. You have a basic idea of what a plumber does – you don’t really need to see an image of a clogged sink. You may have a toothache, but you hardly want to see a picture of someone getting a filling. Professions like therapy or law don’t have a service to physically picture. But a website is not just a yellow pages ad. Images are part of the design. For a website offering financial advisor service, the irrelevant image of a mountain meadow takes up a great deal of space. It really adds no value and has no impact on potential visitors. It’s fluff. 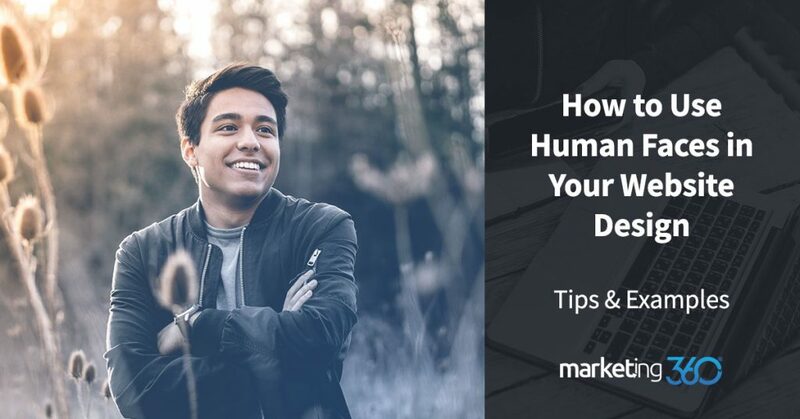 Let’s explore why human faces are so much more effective for business websites that only ostensibly need images, as well as how faces help direct people to calls to action and communicate the benefits of products. The reason faces make effective website images is that human beings are hard-wired to have a visual preference for faces over other images. As infants, it is our natural tendency to be drawn to faces. You can feel it. Look at the picture of the meadow and you feel nothing. Look at the smiling woman and you feel an instant connection. We naturally respond to eye contact and feel the comfort in a human smile. So if you’re going to use a background stock image, your best bet is to use faces. However, there is a caveat. We are so drawn to human faces that these images can distract visitors, drawing their attention away from primary content. 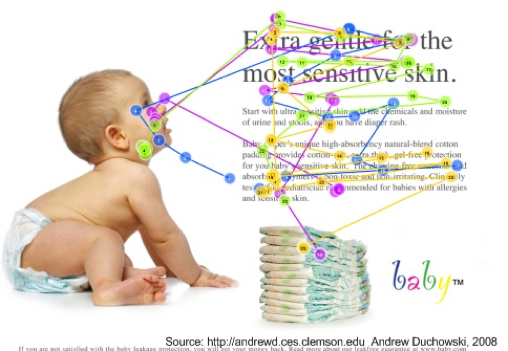 As you can see, people here spent more time looking at the baby than reading the product content. Using images of faces requires critical design and UX elements. Here are some examples of how to make this work. One of the most effective things you do with images of people is to take advantage of their gaze. It can be effective to have the person making eye-contact because it automatically engages people, drawing them into your content. 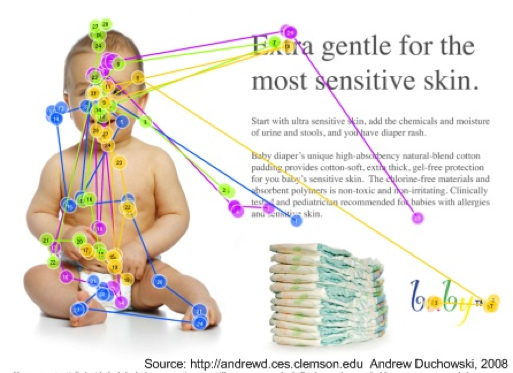 However, as the study with the baby image demonstrates, you also need to direct the gaze towards your call to action. Again, by our nature, we’ll look where someone else is looking. If the person in the image is looking at important content, it will help draw eyes to it. Use faces to draw visitors into your content. But be sure the image isn’t so compelling and dominate that it guides people away from vital info about your product. Instead, use directional cues so eyes are drawn towards your call to action or product description. 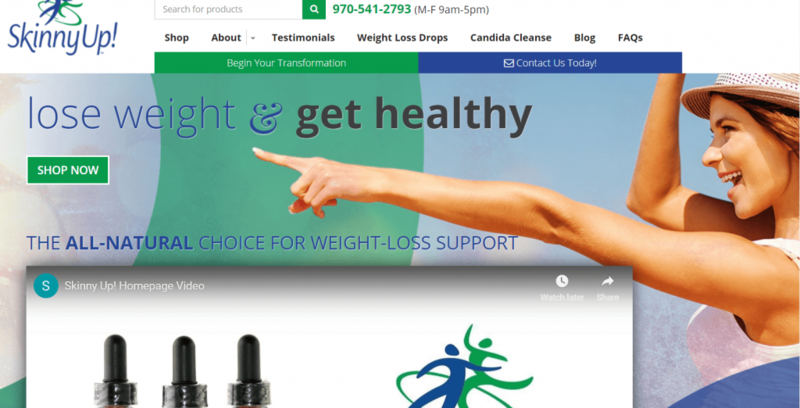 Many businesses think they must use polished stock photos featuring models for their websites. In fact, the truth is that overly staged stock photos can detract from the user’s experience. Hire a professional photographer to get images of your staff. It’s more of an investment, but you want to be sure to convey professionalism as well as authenticity. Another vital step with human face images is – when possible – to show the product. It’s always odd to go to a website that sells a particular product and see a stock photo of a person that has nothing to do with the offer. 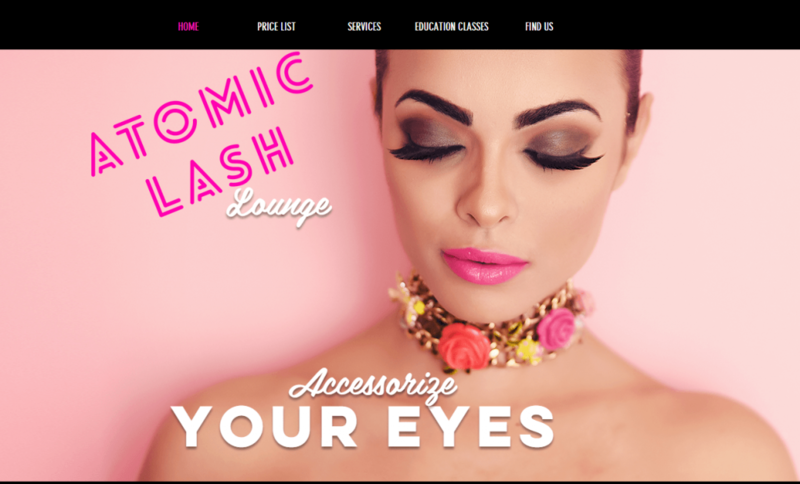 This business offers eyelash extensions. The image shows the beauty of their work. The most effective thing you can do for a product is to use a hero shot, which is an image that shows the person using the product and enjoying its benefits. In this example, the woman is enjoying the comfort of her mattress and directing her gaze towards the call to action. A lot of business websites waste valuable homepage real estate with irrelevant, confusing images. It’s difficult to capture people’s attention online, so even a short lapse will cause them to hit the back button. You can’t waste space above the fold. Putting people in the picture is effective at grabbing attention and directing eyes towards primary content. Our data and other eye tracking studies confirm that using faces on websites is an effective tactic. If you can use authentic pictures of your staff or customers, do it. When the images are professional, the authenticity will connect with people. For products, a hero shot that shows the product in context of use conveys valuable information fast. When prospective buyers put themselves in the picture, you’ve made a big stride towards a conversion. It’s worth it to split-test pages using facial images. Try different images and discover which seems to both hold people on the page and direct them towards your call to action. Save the mountain meadows and city skylines for Instagram. You have a business website that’s trying to persuade people. Images of human faces are content nobody can ignore. Even a generic stock photo of a smiling person gets you over the first hurdle, which is to get someone to pause and take a look at your webpage.